An embryo that has developed for five to seven days after fertilization and has developed 2 distinct cell types and a central cavity filled with fluid (blastocoel cavity). The cleavage stage (prior to day 4) human embryo undergoes compaction and develops to the compacting morula stage by about day 4. Usually by 24 hours after compacting into the morula, the embryo begins to develop a fluid filled cavity. The embryo then fits the definition of an early blastocyst. The blastocyst culture and day 5 embryo transfer procedure for in vitro fertilization facilitates selection of the best quality embryos for transfer to the uterus of the mother. 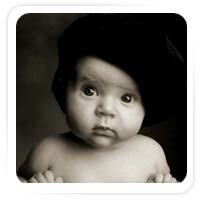 The concept of embryo quality is a very important one for couples experiencing infertility. With blastocyst embryo transfer, we can transfer fewer embryos – reducing risks for multiple pregnancy – while keeping overall pregnancy rates high. The cells in a blastocyst have just started to differentiate. This differentiation can not be seen with the microscope in the early blastocyst with a small cavity but is well visualized in an expanded blastocyst. The surface cells that surround the cavity (just under the outer shell) are called the trophectoderm and will later develop into the placenta. The more centrally located group of cells are called the inner cell mass and will become the fetus. A healthy blastocyst should begin hatching from its outer shell, called the zona pellucida by the end of the sixth day after fertilization. Within 24 hours after hatching, embryo implantation after IVF (or in a “natural” pregnancy) begins as the embryo invades into the endometrial lining of the mother’s uterus. The blastocyst releases HCG hormone (the pregnancy test hormone) which is picked up by the mother’s blood circulation as the embryo implants in the uterine lining. The ultimate goal of in vitro fertilization (IVF) and embryo culture is to provide high quality embryos which are capable of continued normal development and result in live births. 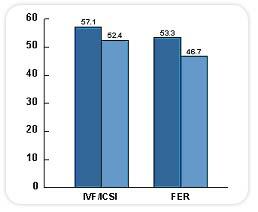 However, under standard IVF culture conditions, only about 25-60% of human embryos will progress to the blastocyst stage after 5 days of culture. This low rate of embryo development is the result of a less than optimal culture environment for the embryos. For this reason, embryos have traditionally been transferred into the uterus after only 2 or 3 days of culture. One problem with this is that 2 to 3-day-old embryos are normally found in the fallopian tubes, not in the uterus. The embryo first moves into the uterus at about 80 hours after ovulation. The embryo implantation process begins about 3 days later – after blastocyst formation and hatching out of the embryonic shell (called the zona pellucida) have occurred. Therefore, if in vitro culture conditions are maximized so that healthy blastocysts form at a high rate, then blastocyst embryo transfer can be done on day 5 – at a more “natural” time for the embryos to be in the uterus, and very shortly before actual invasion and embryo implantation. The uterine lining at day 5 blastocyst transfer should be ideal and receptive to the arriving embryo – this is the same timing as occurs in a “natural” pregnancy situation. Transferring blastocysts following IVF also provides another potential benefit – reduction of the possibility of multiple pregnancy. Some 2 or 3-day-old embryos do not have the capacity to become high quality blastocysts and a viable pregnancy. However, on day two or three of culture we do not have reliable methods to determine which embryos will be viable long-term, and which ones will arrest their development within a day or 2. 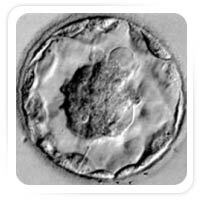 By culturing embryos out to the blastocyst stage we will find that some of them have not become blastocysts – allowing us an opportunity to choose the most competent embryos for transfer. We can then transfer fewer embryos and still obtain high pregnancy success rates – with little or no risk for high order (triplets or higher) multiple pregnancy. If the IVF clinic is proficient at blastocyst culture and has excellent quality control in the laboratory, there should really not be any disadvantages to day 5 blastocyst transfer. However, if the culture environment is suboptimal, delayed embryo development and even embryonic arrest will occur – at least in some cases. Therefore, if the culture system and quality control in an IVF lab are inconsistent – good results will not be obtained with extended culture to day 5. Such programs will do better with day 3 embryo transfers – putting back the embryos earlier, before they are “stressed” too much in the weak culture environment. Another possible disadvantage is that some IVF clinics charge an extra fee for day 5 culture and transfer.